E Cigarettes Safe? What are e cig side Effects? Home Page | blog | Are E Cigarettes Safe? What are e cig side Effects? We have compiled the most relevant and up to date information on this topic to allow you to make your own decision based on the facts. All information presented in this article is referenced with links so you can click through the hyperlinks to see sources for all info presented in this article. What is in E Cigarettes? What is the Liquid in E Cigarettes? What is the Smoke from E Cigarettes? Propelyene glycol: This liquid is what carries the flavour and nicotine in e-liquid and also produces the fog. It is used in thousands of different products including cosmetics, food, ventilation systems, smoke machines and asthma inhalers. Vegetable glycerine: This is thick, odourless liquid that produces the dense, foggy vapour from e-liquid. It is used in many different things including food and drugs. Flavouring: There are literally thousands of different flavourings in e liquid, from traditional tobacco to chicken flavour and ice cream. These are food flavourings that are used in cooking, baking and in food products made by companies that we buy everyday. 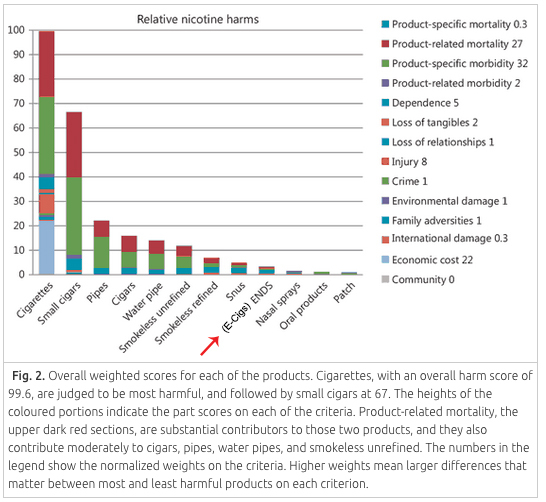 E cigs are a tool for harm reduction. Harm reduction means that they will cause less damage then smoking tobacco. This does not mean that they have no health risks or are completely safe. The main issue when asking are e cigarettes safe is that there is no long term data on usage of these products. Because they are relatively new, data on long term usage is not available. However most of the things in e cigarettes do have data associated with their use. The ingredients of e-liquid are safe for human consumption, excluding nicotine in large enough amounts. However this does not mean inhalation of these parts are guaranteed to be safe. Vegetable glycerine: This has also been used in inhale-able medication since 2000 and almost certainly safe to be used in this way. Nicotine: Although present in tobacco smoke, this is not the part that causes cancer or heart disease. (9) Studies have been done on high levels of nicotine inhalation showing that it does not increase mortality rate. (10) However this is a drug and toxic in large amounts. Nicotine present in e liquid is in concentrations far lower than can cause serious harm by inhalation. (11) Care should be taken to avoid consumption of large amounts. Always keep e-liquid away from children and pets with the safety caps secured. What are E Cigarette Side Effects and how Bad are E Cigarettes for your Health? Are E Cigarettes Bad for your Lungs? Are E Cigarettes Bad for your Heart? E vapor cigarettes can reduce lung and myocardial function, increase inflammation, and have toxic content but to a much lower extent than combustible cigarettes in virtually all cases. (13) If you have any current or pre-existing heart or lung condition you should consult your doctor before use and ask are e cigarettes safe to use. Non nicotine e cigarettes are pretty much as safe as nicotine containing ones. This is because nicotine on its own and in small amounts doesn’t have serious long term health effects. So e cigarettes without nicotine are around the same level of safety as nicotine containing ones. With all the information considered, the most serious point that should be considered is not are e cigarettes safe, but how bad are e cigs compared to cigarettes. Almost everything we consume on a day to day basis is bad for us in one way or another. Even too much oxygen would kill you and eating too many bananas would do the same. Non smokers should not start using e cigarettes as they would almost certainly have some effect on your health, no matter how small. However if you are a current smoker, or ex smoker highly likely to relapse, the serious question is are e cigarettes healthier than tobacco, and are e cigarettes as bad as cigarettes? Public Heath England asked are e cigarettes safe and studied all the facts. They concluded e cigarettes are at least 95% less harmful to your health than normal cigarettes. (15) They contain no carbon monoxide which is one of the most deadliest things in tobacco smoke. (16) There is almost no risk of second hand smoke / vapour from e cigarettes making them much healthier for people around you. 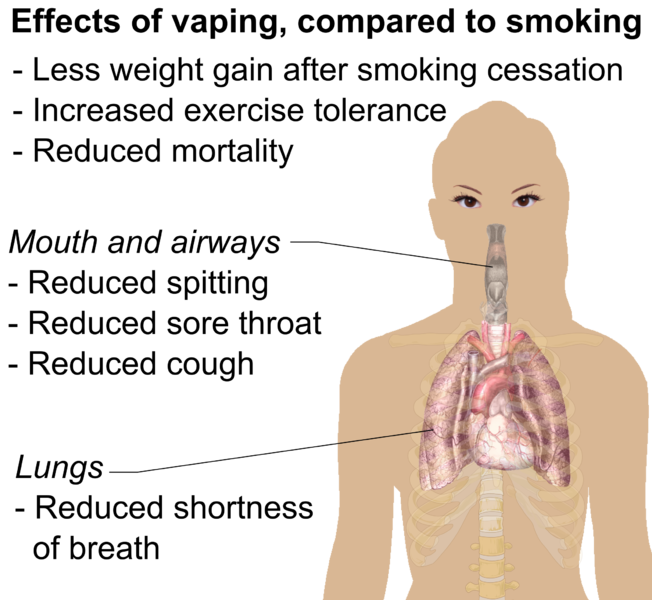 (17) If you are a current smoker you have a 2 out of 3 chance of dying from smoking. (18) So stopping smoking right now, whether that is going cold turkey, using NRT or using e cigarettes will massively increase your chance of living longer and staying healthy. If you are ready to make the change by trying e cigarettes and joining the millions of ex smokers who have quit with these devices, try our newest device: the Endura T18 starter kit.